Bankruptcy clients who are new to Florida come to our office complaining about what I call the Exemptions Calculus Problem. Learning calculus seems simpler. 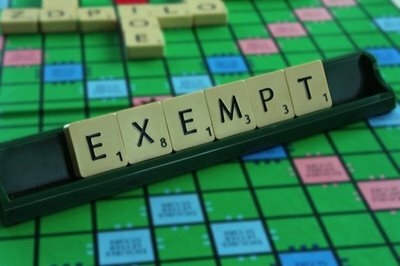 Below are some useful sites and a brief explanation as to how exemptions work. First, exemptions in bankruptcy are important because they decide what you get to keep in a bankruptcy. In Florida, we have very strong homestead exemptions and retirement asset exemptions for an IRA, 401k, 403(b) or annuities. Not so much for personal property unless you are surrendering your home and can claim a $4,000 wildcard exemption in addition to a $1,000 exemption. Vehicles are allotted a $1,000 equity exemption. Anything more, you have to pay to keep or give up. However, the rules vary dramatically when you have lived in Florida for less than two years. Then we either use the state’s exemption where you moved from or the federal exemptions. Ironically, you cannot use the federal exemptions when you have lived here for two years or more, because Florida has opted out of the federal exemptions. Federal exemptions provide a very generous personal property exemption. There is a terrific website run by John Bates called ExemptionsExpress that I use all the time to determine whether you will have the benefit of the federal exemptions or the state exemptions where you moved from. You simply select your former state and the website will indicate whether you can use that state’s exemptions or federal exemptions based upon your present residency. For instance, Georgia provides that to use Georgia’s exemptions, you have be be a recent Georgia domiciliary (which when you click on that, it advises that you have to have resided in Georgia for the past 180 days prior to filing your bankruptcy to use Georgia’s exemptions). If not, then you would use the federal exemptions. So if you’ve moved here less than 180 days ago, you would use Georgia’s state exemptions (for your Florida bankruptcy), for the period of 180 days until you’ve lived here 2 years, you would use federal exemptions, and once you are here for two years, you would use Florida’s exemptions. There are some caveats to consider such as if you have moved from place to place to place all within 180 days, or some states such as California have multiple systems to choose from. Another nifty site describes each state’s permitted exemptions although I do not know if it is regularly updated. Our bankruptcy software automatically updates when the various states amend their exemptions.